This plugin enables the user to export Autodesk® Fusion 360™ files directly from inside Fusion 360 to SketchUp files. The plugin supports exporting textures created inside Fusion. 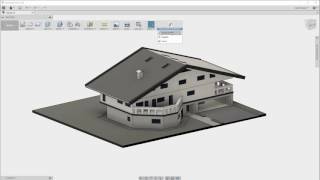 What is the SketchUp File format? A file with the SKP extension is a three-dimensional model readable by SketchUp software. - It allows conceptual designs to be created, viewed and shared quickly and easily. - Models created with SketchUp can be placed within Google Earth or shared using the 3D Warehouse feature. Why should you get this plugin from SimLab Soft? - Great support for materials and textures. - Capable of handling large models. - Responsive support to answer your questions.